the first is easy and fast, it is the select by color-tool. this works good with the first (downscaled) example. but this method doesn't work with the second image, you have to use the paths-tool. Not perfect, but usable with a few tweaks. Some color bleeds and the shadows need to be removed on some. Overall pretty good, thanks much for sharing. Yay for CC0! 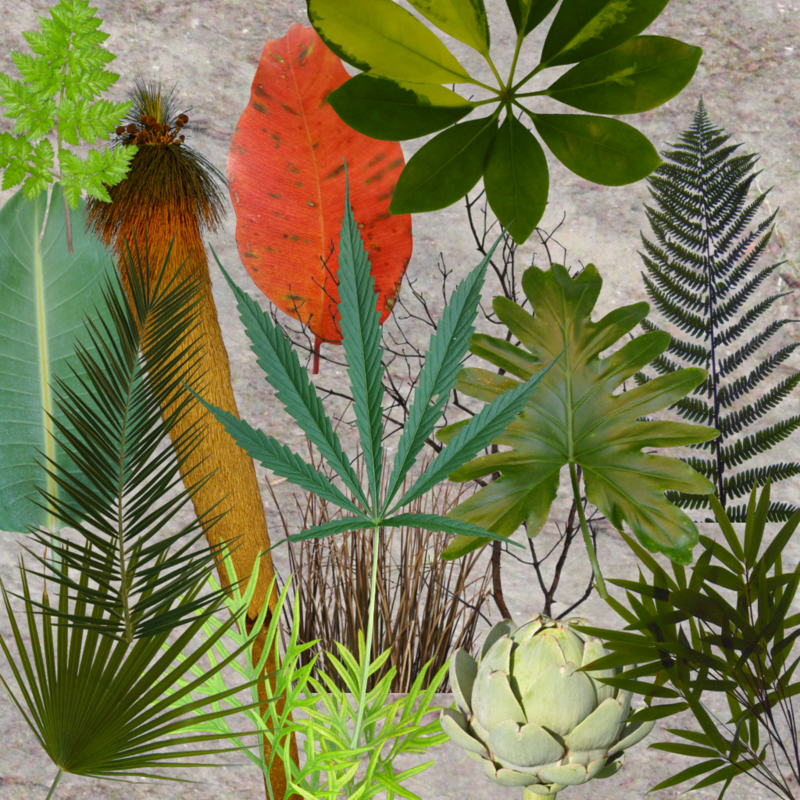 there are some textures, where i didn't delete the background, like plant 29 or 34, i found them without background, but you can clean the borders, if you want it. I notice, some of them have already been used by nobiax and I also used some of them. 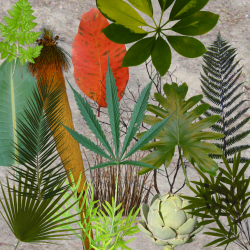 For example the third from the start, this kind of leaves I used for my first tree, the konserian swamptree, later I found out that this leaves are from an acacia tree.